PETA has obtained video footage and photographs revealing that an opossum now named Millie—confirmed to be the one who was suspended in a box in the air for at least two hours at the Andrews, North Carolina, “Possum Drop” on New Year’s Eve and subjected to loud live music, a shouting crowd, and fireworks—was left with a days-old, untreated injury that has now necessitated that her leg be amputated at the shoulder. Her life in her natural habitat is now over because of this callous spectacle. 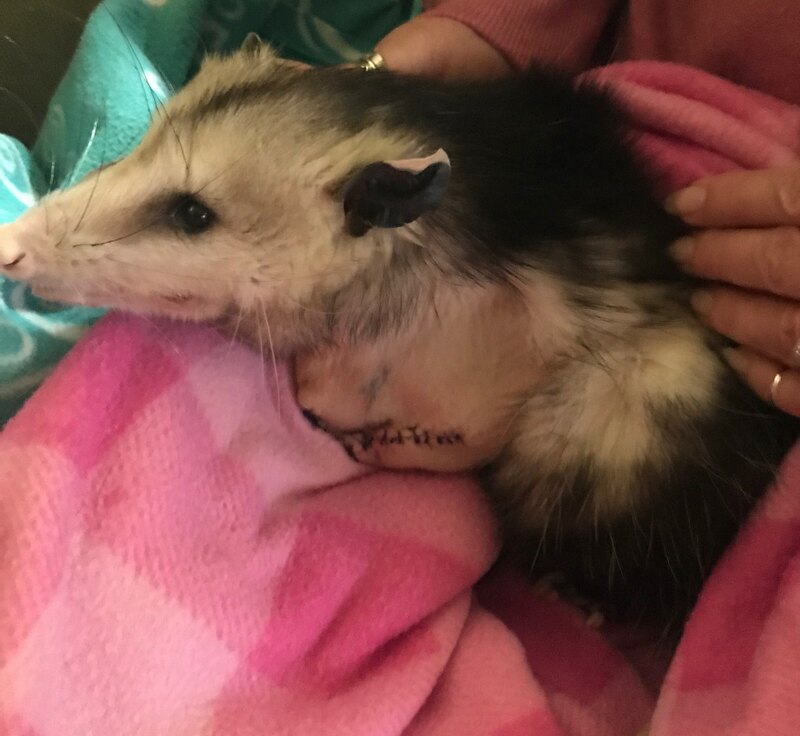 Based on a veterinarian’s examination of her injuries, Millie is believed to have been captured for the Possum Drop on or before December 29. 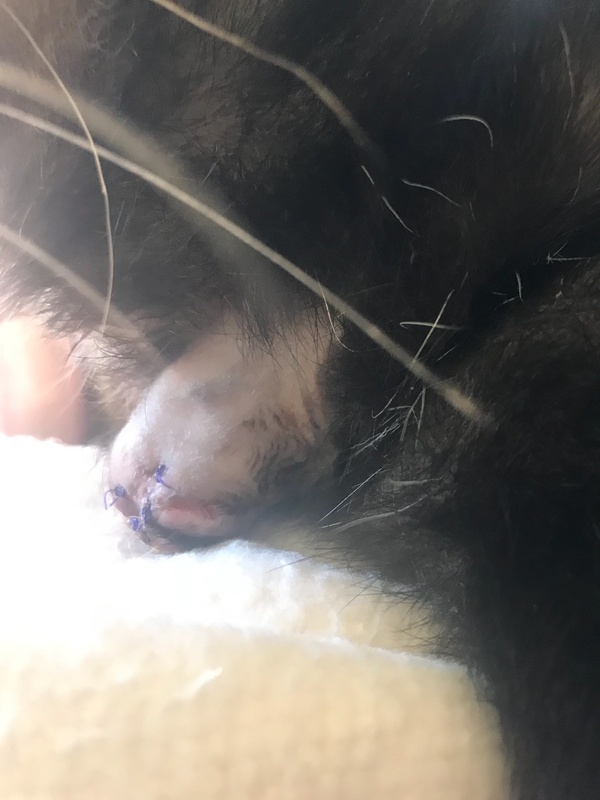 Drop organizers claimed that a veterinarian who reportedly “asked to remain anonymous” examined her foot and pronounced her “healthy”—even though she had been severely injured. 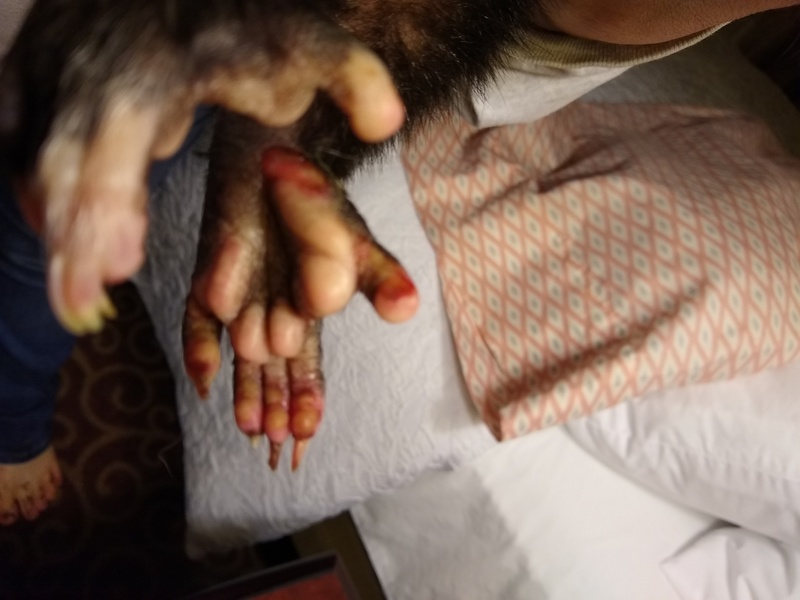 Just after midnight on January 1, she was transferred to a wildlife rehabilitator, and she was examined by a second veterinarian, who opined that her injuries were consistent with those inflicted by a snare or steel-jaw trap, likely used to catch her for the Possum Drop—the blood circulation in her leg was cut off, and her leg bones were snapped—and that they had been left untreated since at least two days before the drop. 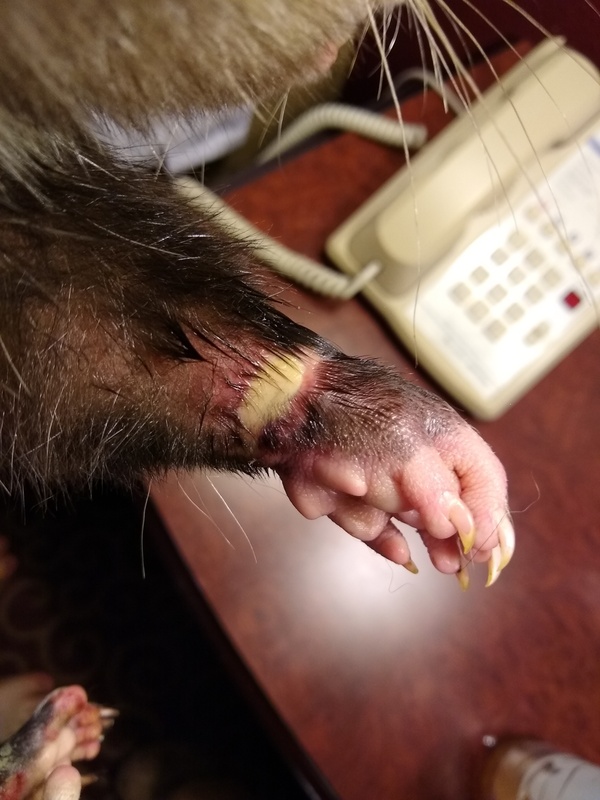 The opossum’s injuries were so extensive that her leg could not be saved. She underwent surgery to have her foot amputated on January 7, followed by another on January 11 to have the remaining part of her leg amputated at the shoulder.